Are you Living the Dollar Store Life? The older I get the harder it is for me to stay focused. My mind is constantly sifting through the tasks on my plate. I have so much that I'm responsible for that many things end up being incomplete or done to a minimum standard. Do I have adult ADD? Or is it that I'm just too busy in life, possibly taken on too many responsibilities, where the tasks blur together and I lose focus and energy. There is no balance. My mind is an organized mess. [Even as I sit here writing this blog, I'm thinking about the cleaning I need to do, my bible study questions I haven't done yet and when am I going to finish the book I'm writing? Speaking of books, that one I just finished reading last night left me hanging and I can't wait for the sequel to come out. What am I going to make for dinner- no wait, I have my bible study tonight- so I don't have to make dinner- and back to the study questions I haven't finished.] See? Focus. (Then I picture Mr. Miyagi saying 'focus Daniel-son'). And I come back full circle: writing this blog. "I don't care how much power, brilliance or energy you have, if you don't harness it in and focus it on a specific target, and hold it there you're never going to accomplish as much as your ability warrants." 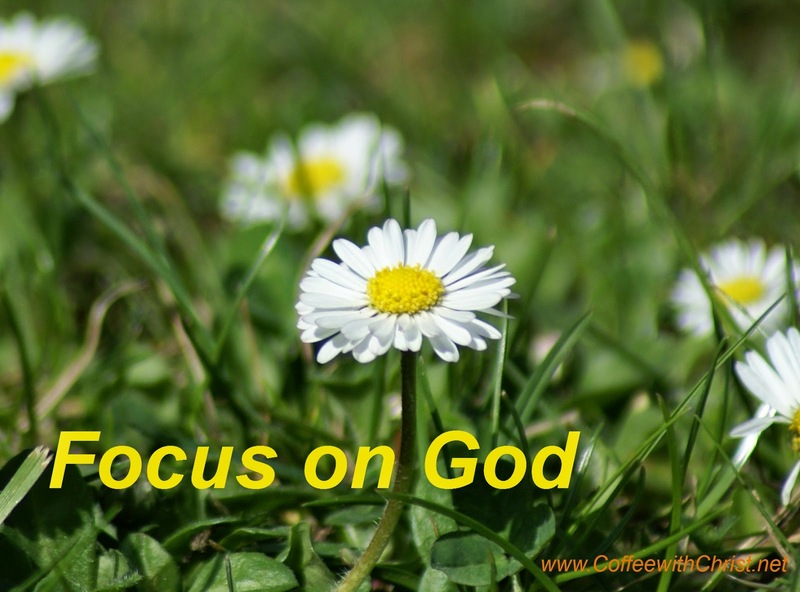 (Zig Zigler) Focus on God- let Him be your target. When Christ is at the center of everything we do, then everything we do is for Christ.